Here is something you may not know about me: I am a bona fide introvert. I'm not the type of introvert that hates group situations. I work in a field that is all about group situations. For many hours of the day I am constantly "on" and showing my best self to the world. However, I do need to take time to recharge my batteries, and I like to do that by spending time alone. I like to say that I am "dating myself." Dave thinks that is a little weird, but it is true! If you don't take care of yourself, you will totally burn out! I posted this picture to my Instagram on Friday (hi, follow me!) which shows the night I had for myself that night. Dave went out with some of his friends, and I chose to stay home by myself on a date! 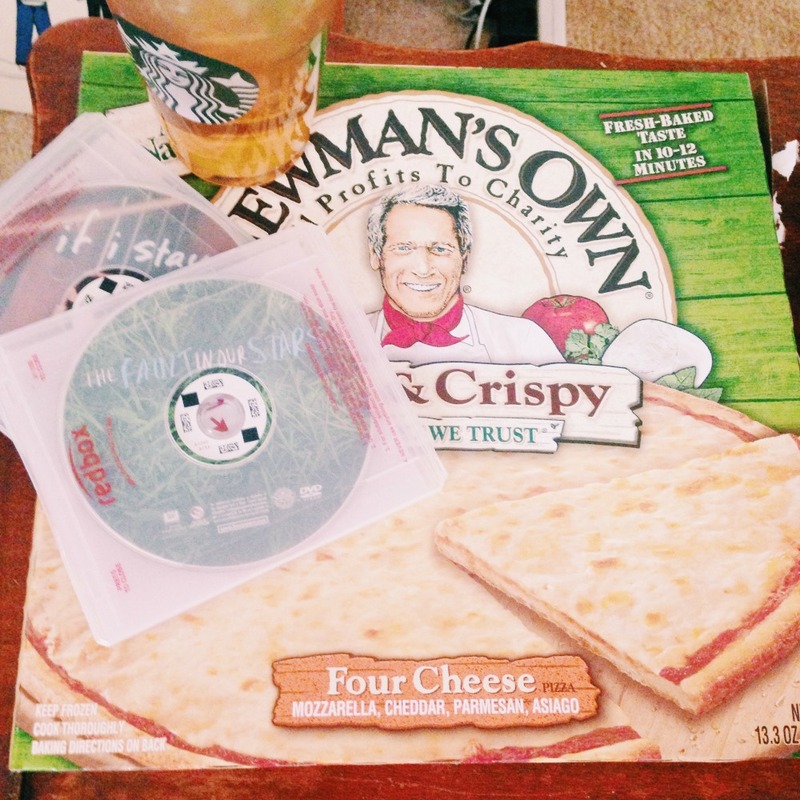 I got all the necessities at the store, and went home and had a nice night of pizza, iced green tea, and teen romance. It was glorious. Tackle that art project that you've been wanting to try! When your schedule gets hectic, don't forget to date yourself. This can look like many different things. Just make a little time, and take yourself out on a date. Trust me, you will appreciate it. YES. I'm an introvert too and spend all day with others. Jason works from home so it's hard for him to understand that I need time alone, especially after work. We've finally gotten into the grove of me walking/working out immediately after work. I love alone time and agree that it's super important! Great post! I agree completely. I love my boyfriend to pieces, but am always a teeny bit excited when he's out of town because I get to have some "me" time. I get to watch all those shows I want to hide from him. Exactly! My netflix is always so caught up. I really need to make my alone time more active. That is a great routine you have going! Do you come home first, or put work out clothes in the car? It's something I've started as my job has become more and more busy. I love my job, but like you said, it exhausts me. Its how I have come to take care of myself during our busy season.